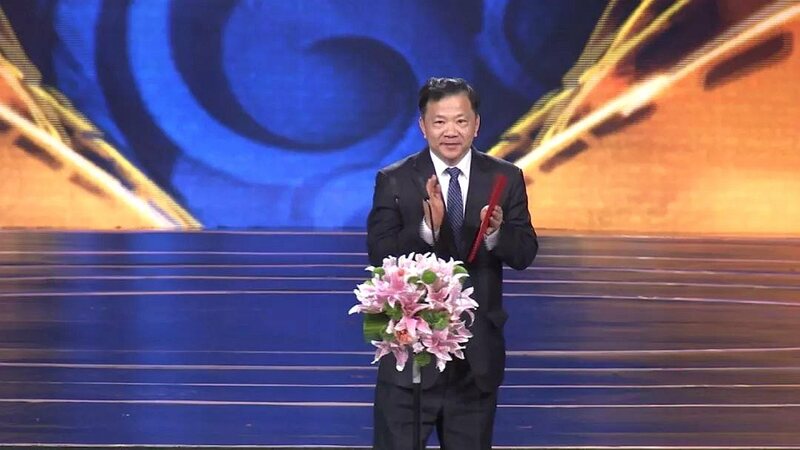 Shen Haixiong, CMG president and chairman of the organizing committee of the ninth BJIFF, announced the opening of the festival. Also in attendance were Yan Xiaoming, vice president of CMG, and Du Feijin, head of the publicity department of the Communist Party of China's Beijing Municipal Committee. This year marks the 70th anniversary of the founding of the People's Republic of China (PRC), and the festival, in its 9th edition, is designed as a tribute event under the theme "Home, Country." As this year's opener, the first China-Kazakhstan coproduction "Composer" follows the life story of renowned Chinese composer Xian Xinghai, most well-known for his 1939 work "Yellow River Cantata." 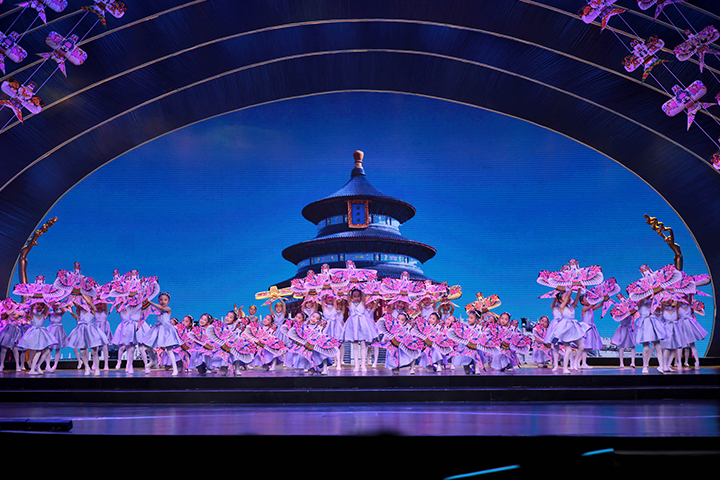 Also, April 13 marked the 80th anniversary of the debut show of the cantata in Yan'an, northwest China's Shaanxi Province. The opening ceremony is a grand celebration of filmmakers from all around the world, showing a blend of Chinese and western cinematic culture. CMG introduced 5G technique to the event this year, which covers all the festival venues, where the opening and closing ceremonies and the film carnival are held. For the first time, the 5G Media Application Lab of CMG headquarters helped realize the live broadcast under the Ultra High Definition (Ultra HD) signal on the CCTV News app. 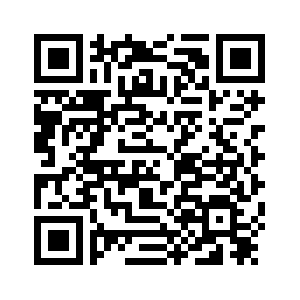 The ceremony was also broadcast on the CCTV 4K Ultra HD channel. CMG's new strategic pattern of "5G+4K+AI" made the coverage more lively and instant. 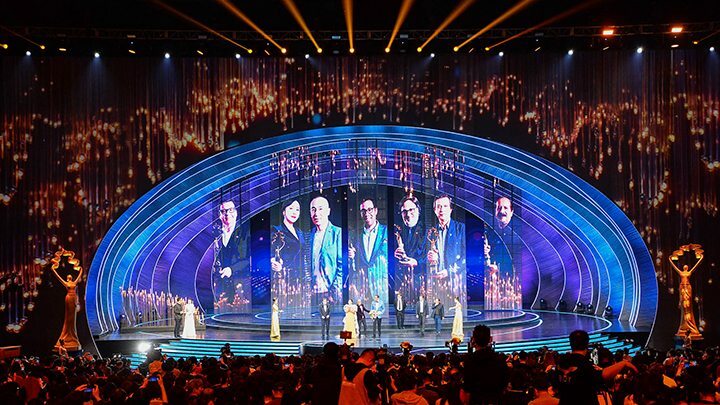 The main competition, "Tiantan Awards," received 775 entries from 85 countries and regions. A total of 15 finalists such as Chinese sci-fi epic "The Wandering Earth" and American piece "Ben Is Back" will vie for the awards on next Saturday night. Meanwhile, 30 cinemas across the city will showcase nearly 500 titles. The festival will also host 7 major events including Chinese Film Forum on the 70th anniversary of the founding of the PRC, Indian Film Week, Beijing Market, and Film Carnival, as well as more than 300 other activities.